I woke up with the mother of all hangovers but as ill as I felt I could see that Bernie was feeling a lot worse. I guess we were just not up to Romanian christening celebrations. The previous day we had got a bit lost, that is if you can get lost when you have no real plan about where you are going. 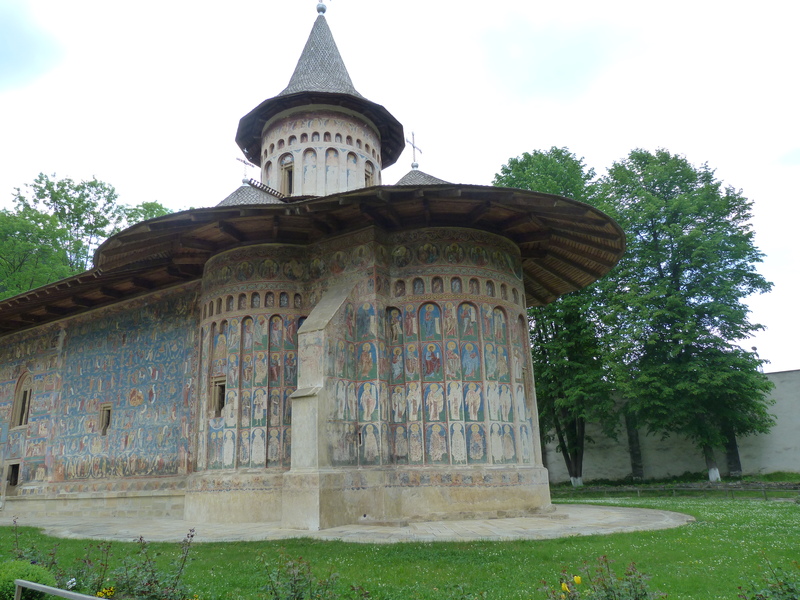 We wanted to go west towards the Painted Monasteries of Bucovina. We had a Romanian tourist map of the Carpathians which mainly showed things that they hoped would one day be there if only they had some European money; such as a hotel. We thought we were heading in the direction of the fictional hotel symbol but had taken the wrong fork on our track through the forest and ended up on a boggy, deeply rutted, muddy logging track. 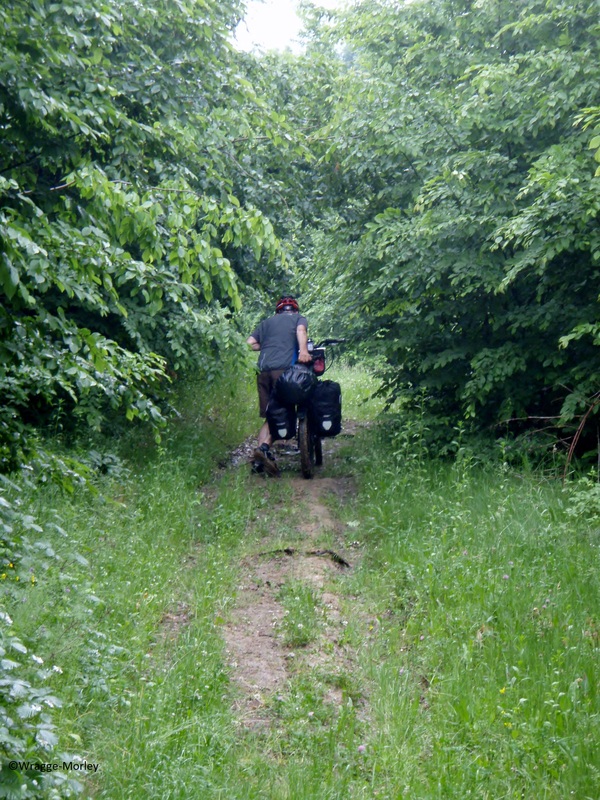 It started to rain and our wheels stopped going round as the thick clay entombed our wheels and brakes. Bernie threw our bikes off the track into the forest and we pushed our way up the steep slope through the trees towards the pass. Our exhilaration at finding a small village and a maintained track on the other side were short lived. 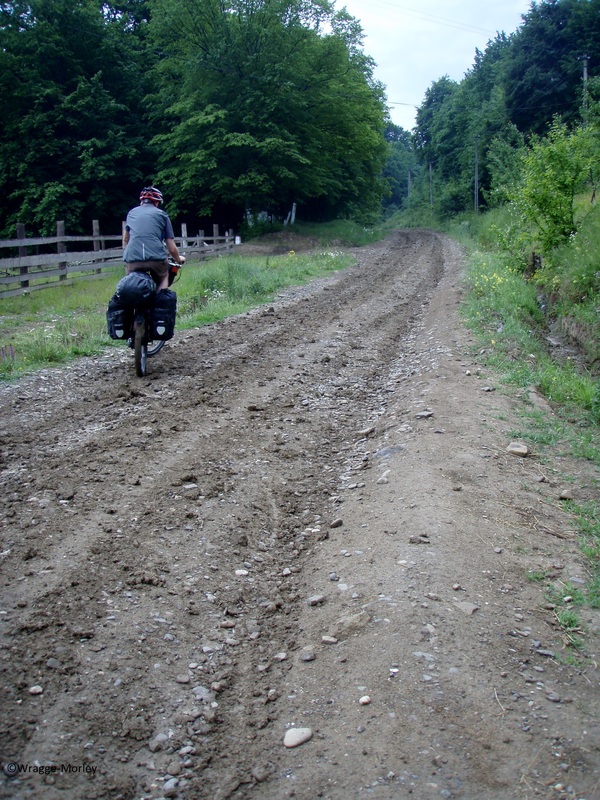 Because of the deep mud, the Romanians have a habit of covering these tracks with one or two feet of loose stones. My wheels sank in and after about 30 seconds of fast spinning on the spot I fell off much to the villagers amusement. More pushing! Since arriving in the Carpathians we had had a dramatic thunder and lightening storm at 4 pm so we were keen to find shelter before this arrived. At a small village near the hotel symbol we asked and were directed up a track that had just been created out of their favourite stone topping. The astroturf tennis courts were a bit surreal in the surroundings but we were pleased to see the brand new hotel just as the first rumble of thunder rolled in. There was a major party in progress so we were a bit surprised to discover that the hotel had not yet opened for business. We were invited to stay anyway and had hardly finished showering off the effects of the day when we were dragged down to join the party. Most of the village was there to celebrate a christening. I had hoped to sit in a corner somewhere but they insisted we took a table in the centre of the room and accept plate after plate of the celebratory food. Ancient men also insisted that we drank their home-made cherry Vișinată which is a delicacy of the region and typically 50% proof. Then the music started with a fast strong rhythm of pipes and percussion. Couples got up to dance and in close hold they spun round at speed, stamping their feet loudly in time with the rhythm with the women’s colourful long skirts and scarves twirling. Somehow the lack of a common language never seemed to matter. 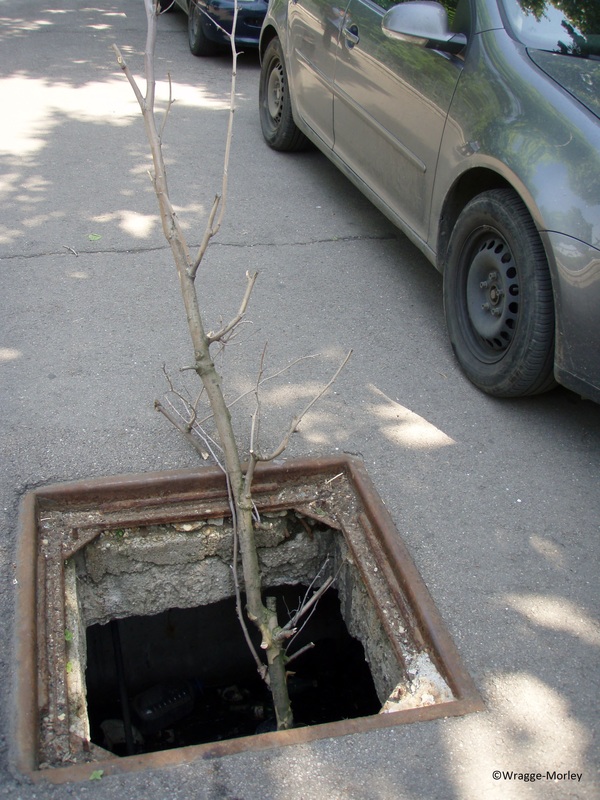 as this would have been impassible in the rain. 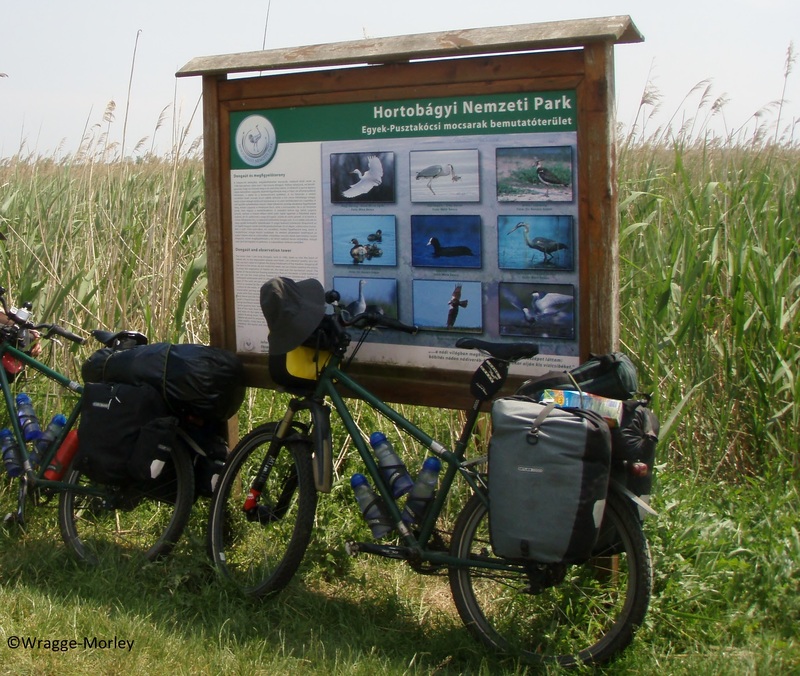 The north east of Hungary was very flat, and when we were on the tarmac the corners only came every 10km or so. This meant that the few car drivers on the road travelled with their foot flat on the floor. 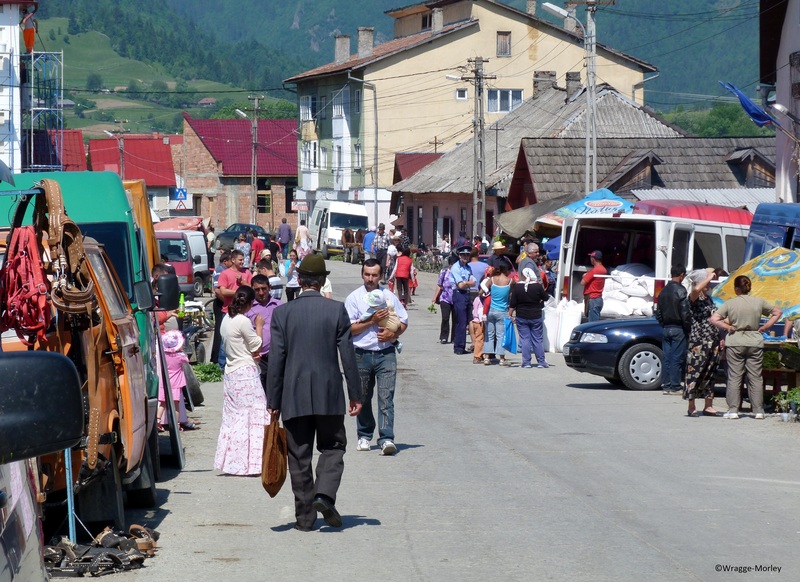 Hungary seems to have been very successful modernizing with European money, but there was a real step change when we crossed the border into Romania. It was like going back in time, and this was not only due to the lack of tarmac. There were also one or two minor health and safety issues which meant that quite apart from the horses and carts having no lights it was dangerous to cycle at night. There were more horse and carts on the road than cars and roads shown on our maps were often deeply rutted, muddy logging tracks. 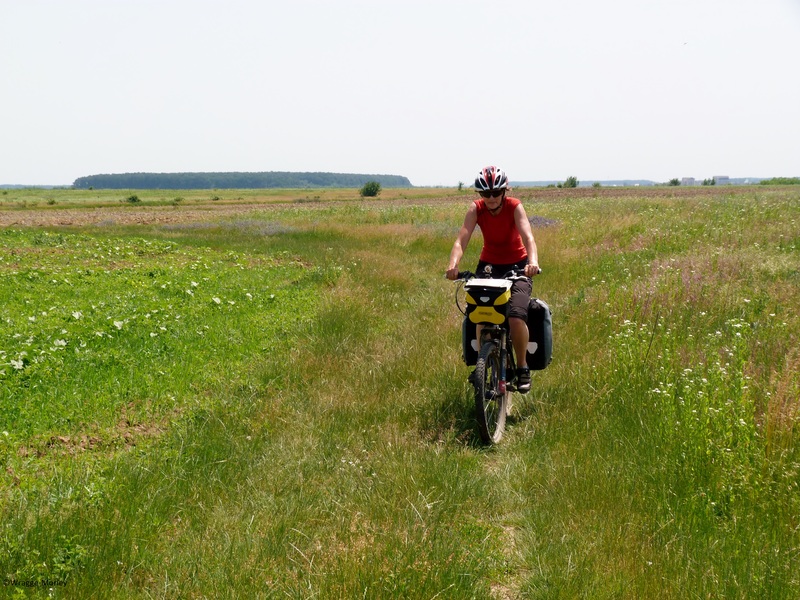 We continued cycling east over the Carpathian Mountains to the Bukovina region as we wanted to visit the 15th & 16th Century Painted Monasteries. (I have done a separate blog about these.) We then headed south through Brasov and down to Bucharest. 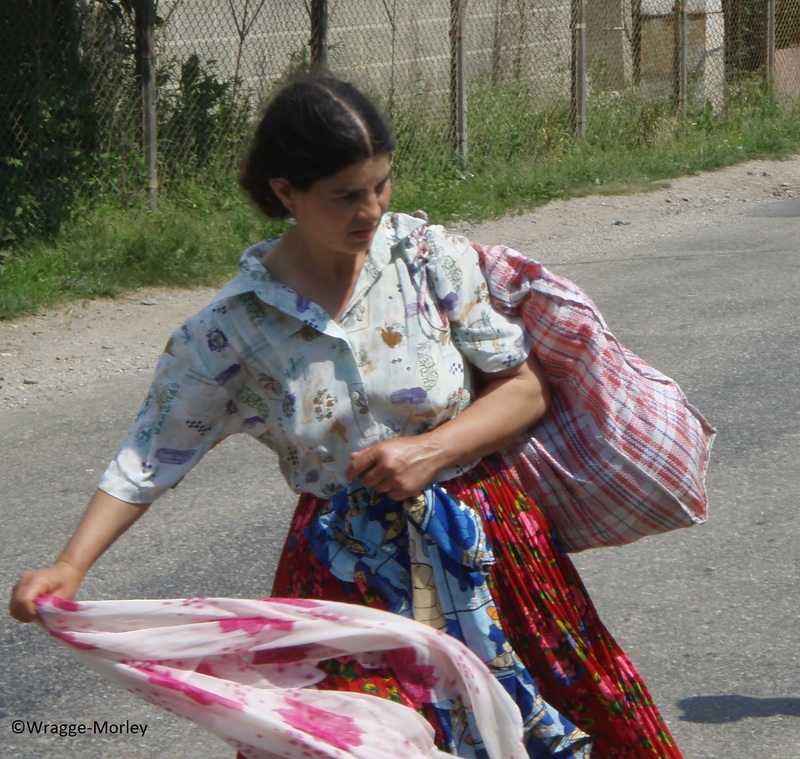 What has stayed with me after this trip is memories of the wonderful Romanian people that we met along the way.